Home Travel Did You Know There Are 1200 Islands In Croatia ! 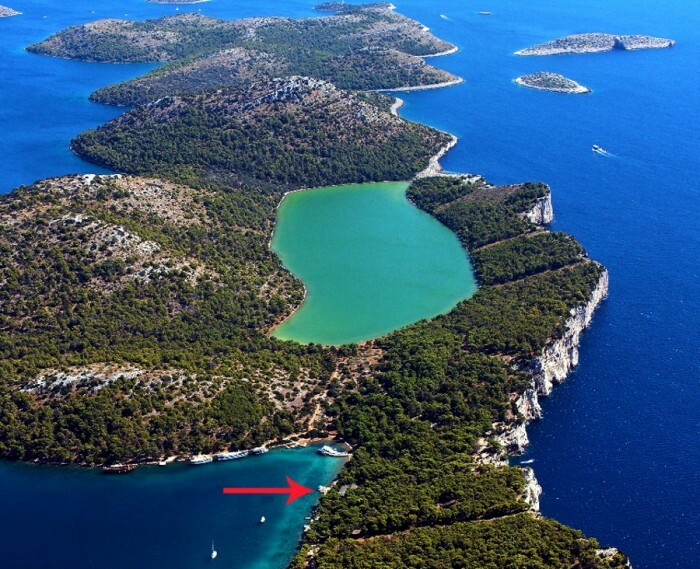 Did You Know There Are 1200 Islands In Croatia ! Croatia is home to many unspoiled and beautiful islands which are easy to travel to while also being an affordable European beach vacation .With its shimmering blue sea and its pure coastline the 1200 islands are open to all and tempting to visit.The different islands have so much to offer from good food, great party places, sandy beaches, wildlife, windsurfing, etc. The islands in Croatia have their own distinctive culture, cuisine ,rich heritage and nightlife so here’s a pick of some of the islands which you can visit this summer. Brac the largest island with its own airport is a popular place for all the holiday makers .You can select the various accommodations available, either expensive or cheap depending on your budget. It has a rich history and is famous for its olive oil and wine and the local seasonal produce, Vidorba Gora Mountain, the highest peak in the island, offers stunning views across the Adriatic and the neighbouring islands on a clear day so you can either climb the mountain or watch the boats sail by. 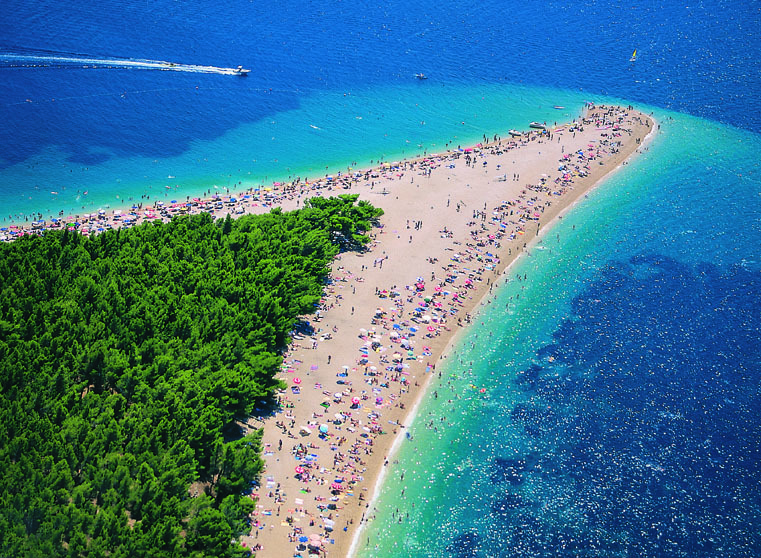 The most iconic Zlatni Rat beach with its unusual shape attracts surfers and there are plenty of cafes and bars. Dugi Otok is primarily a place where one can go and relax ,with its picturesque villages, lush vegetation, sheer cliffs and uncrowded beaches. It is the ideal place if you are looking for some peace and quiet. One can walk around the hiking trails or explore underwater and check out the mysterious depths of the sea as they offer scuba diving and fishing experiences in this island. 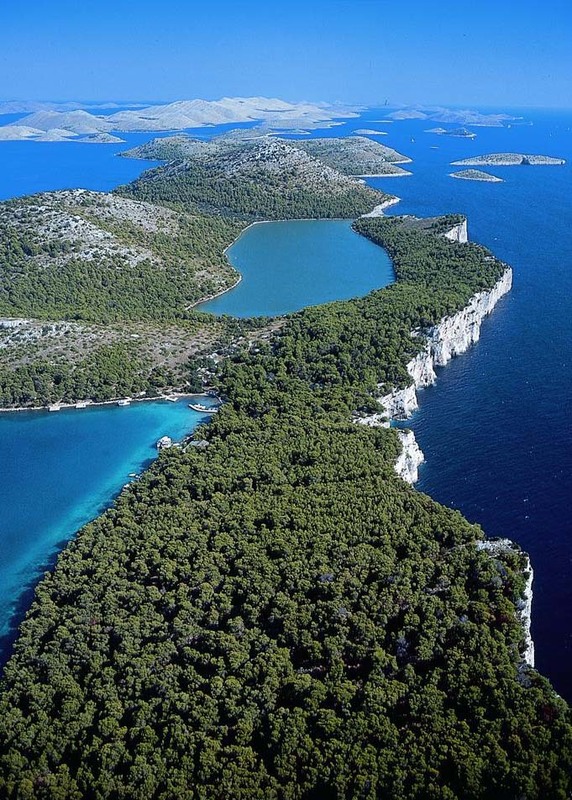 About a third of Mljet is a national park. The unspoiled island is covered by dense Mediterranean forests therefore, it is also called the greenest island .Besides the clear sea, gentle sandy shoreline, and a wealth of underwater sea life, Mljet, is also well known for its red and white wine, olives and goat’s cheese. It is ideal for a romantic holiday because of its relaxing and beautiful environment.You can row in the salt water lake, centered by an abandoned monastery or go on a hike or juts cycle around. 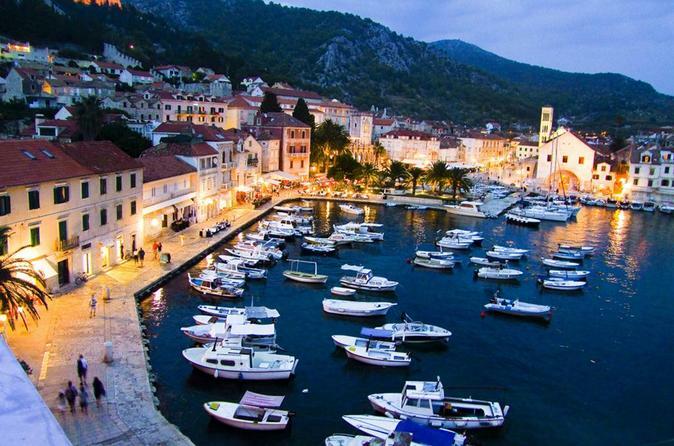 Hvar is the swankiest of the Croatian islands. It is famous for being the party island, but at the same time, it is also rich in history, and culture. Since it is almost always sunny here, it’s fun to explore the place on a scooter. Experience the hillside vineyards, old abandoned settlements, fields of Hvar’s famous lavender, pretty beach coves and sleepy fishing villages. It is not difficult to find a party place and you might get to see a celebrity or two hanging out there too! . Croatia provides the perfect opportunity for island hopping and has many choices, so head out this summer and explore these enchanted islands. Next articleThe Lion King Trailer : Another Delightful Treat From Jon Favreau, Coming Soon!